These days most people will grant that Jesus Christ was a great teacher who lived in a corner of the old Roman empire. Most also welcome his teachings as a sound basis for civilization. But what difference does that make now? Why has a whole religion been built on this person? What did he actually say and do? And how can we trust the written records about him? 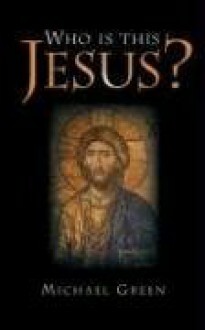 This fast-moving, highly readable book introduces Jesus of Nazareth honestly and openly, with no prior knowledge assumed. Michael Green is the highly respected author of more than fifty books. He has been Principal of St. John's College, Nottingham, Rector to St. Aldate's Church Oxford, and Professor of Evangelism and New Testament at Regent College, Vancouver. He now serves as Senior Research Fellow at Wycliffe Hall, Oxford University.